Desire leaves a man destroyed – a young girl's curiosity reveals secrets better left hidden – an accidental encounter on a train ends violently – ambition leads to a curious exchange – an uncanny likeness changes two lives forever. A novel in sixteen chilling parts, linked by a glittering charm bracelet which brings misfortune to everyone who handles it. 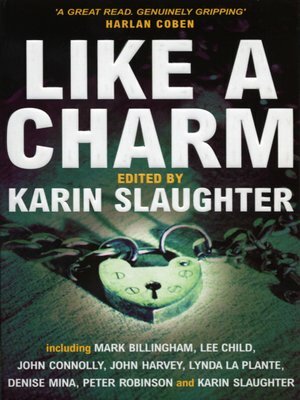 In Like A Charm, the cream of British and American crime writers combine for a must-have collection. From nineteenth-century Georgia, where the bracelet is forged in fire, to wartime Leeds, a steam train across Europe, the violent backstreets of 1980s Scotland, present-day London, a Manhattan taxi, the Mojave desert and back to Georgia, each writer weaves a gripping story of murder, betrayal and intrigue.